During a routine ultrasound in her final trimester, the doctors told Karen her baby would be born with a facial deformity although they didn't tell her what it could be. Instead, the medical team at the clinic told Karen and her husband Diego not to worry because help for their baby would be available. Karen and Diego left the ultrasound session even more worried by uncertainty and didn't know what to expect at the birth of their second child. Diego and Karen didn't find much peace during the last two months of Karen's pregnancy, constantly wondering what was wrong with their baby and why their doctors weren't providing them with more information. Finally, the day came when Karen and Diego welcomed baby Milagros into the world. They immediately noticed her cleft lip. At first, the parents were heartbroken but despite this they were also relieved, they had imagined much worse before their baby was born. Karen and Diego found comfort in learning what they had been told previously was true; care for Milagros' condition was available from Operation Smile in Paraguay. 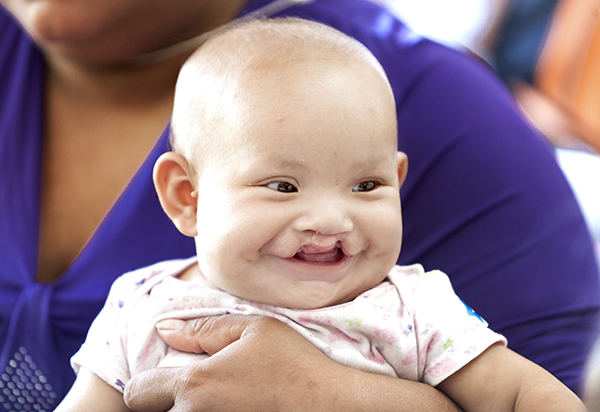 In fact, when another hospital worker heard that a baby in the hospital had been born with cleft lip, he found Karen and volunteered to accompany them to the Operation Smile Cleft Lip and Cleft Palate Clinic in Paraguay. At the Clinic, Karen met doctors, nutritionists, and psychologists who counselled her on how to feed and care for her baby. Milagros was significantly underweight at birth, so the nutritionists gave Karen supplements to help her baby gain weight and grow healthy enough to be able to receive surgery by the time she was six months old. 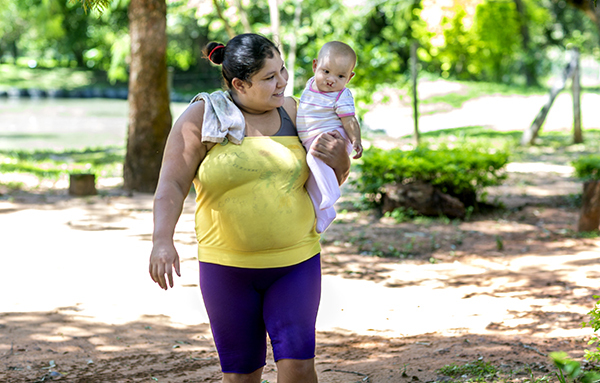 Over the next few months, Karen and Milagros visited the Operation Smile Paraguay Clinic every 15 days for Milagros to undergo evaluations of her weight and general health. To everyone’s relief, Milagros has been steadily gaining weight and is now a healthy 5-month-old. Everyone who meets Milagros adores her, and she loves everyone back, she greets everyone with a big smile. Diego and Karen brought Milagros to the Operation Smile medical mission in Asunción to receive a healthcare assessment which is the first step in the process to determine whether or not she would be a good candidate for surgery. 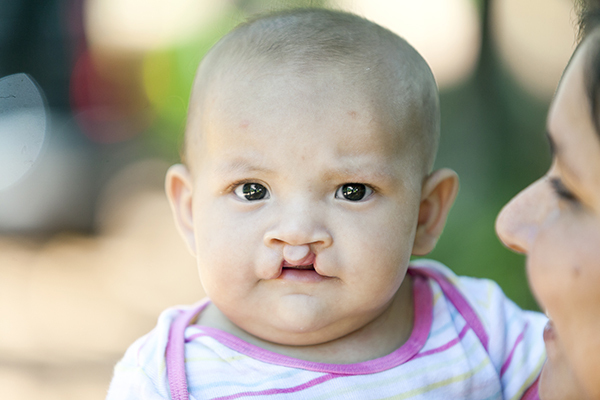 The family went home at the end of the medical evaluation hoping that when they returned the next day, they would receive the much-desired news that Milagros would be receiving life-changing cleft lip surgery. Unfortunately, there were too many patients on the surgical schedule for Milagros to undergo surgery during this medical mission. However, because Milagros and her family live so close to the Operation Smile Cleft Lip and Cleft Palate Clinic, it will be easy for them to return in a few months when Milagros is scheduled to receive surgical care.